We operate on behalf of Redbrook and surrounding areas to make Redbrook an even greater place to live. Investing in community infrastructure – our public buildings, leisure facilities and green spaces – for the enjoyment and wellbeing of all. Supporting initiatives that help improve the lives of Redbrook’s young, elderly, vulnerable and less able. 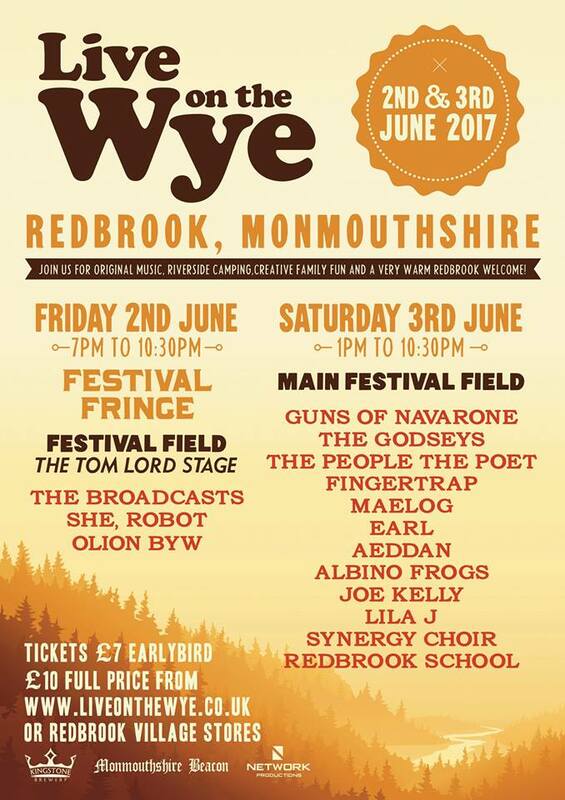 Every Year Redbrook Village trust organise 'Live on the Wye' to raise money for village activities. 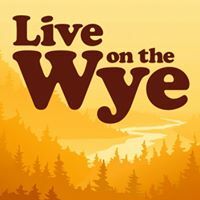 ​‘Live on the Wye’ is a music festival with big ambitions, set against the stunning backdrop of the Wye Valley and bordering the beautiful Forest of Dean. Some artists have told us it’s the prettiest festival they’ve played…and one of the few you can arrive to by canoe! We pride ourselves on attracting up and coming bands across all music genres from Wales and beyond. Climbing Trees, Sion Russell Jones, The People The Poet and Broken Fires are just a few of the acts that we’ve had the privilege of staging over the past 3 years. We have also built a deserved reputation for being relaxed and family friendly. As always, you can expect to find an excellent programme of young people’s activities – check back for more information nearer the time. The popular arts and crafts area is also set to return and we are now welcoming stallholder applications. 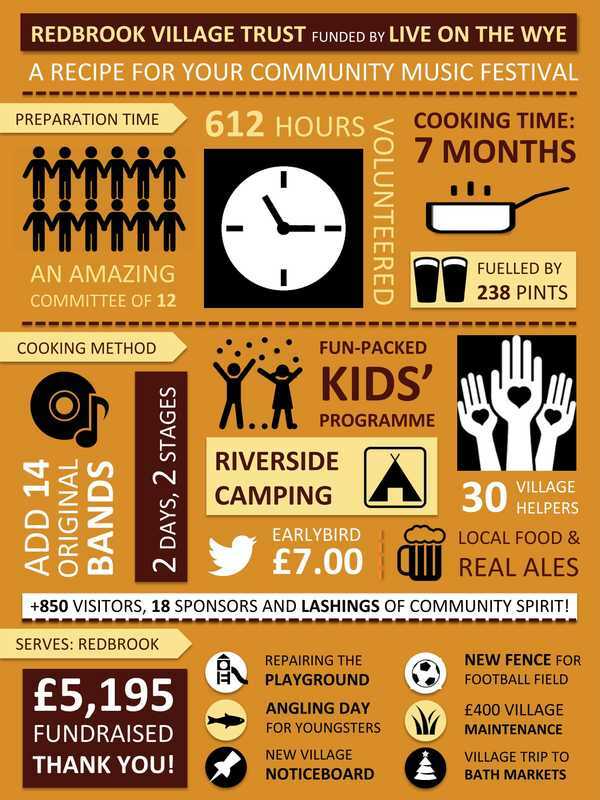 Live on the Wye is run by the community for the community. All proceeds from the festival go back into supporting village life. So come and be merry, and please invite your friends. Winner of the Recreation Award at the 2011 Biffa Awards. Committed volunteers at Redbrook Village Trust sealed an old car park that was contaminated by ash from a nearby tin works, and installed a new playground. The facility now marks the centre of the community, providing a much-used meeting place for children and parents. The playground also attracts visitors from miles around, helping the village shop to stay open and allowing Redbrook to thrive.